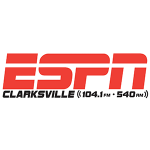 The newest station to the 5 Star Media line-up is EZ 99.9. An easy listening soft contemporary station, EZ has all of your favorite artists from the 70s, 80s, and 90s. When you want to relive the glory days of high school slow dances, EZ 99.9 has got your covered. 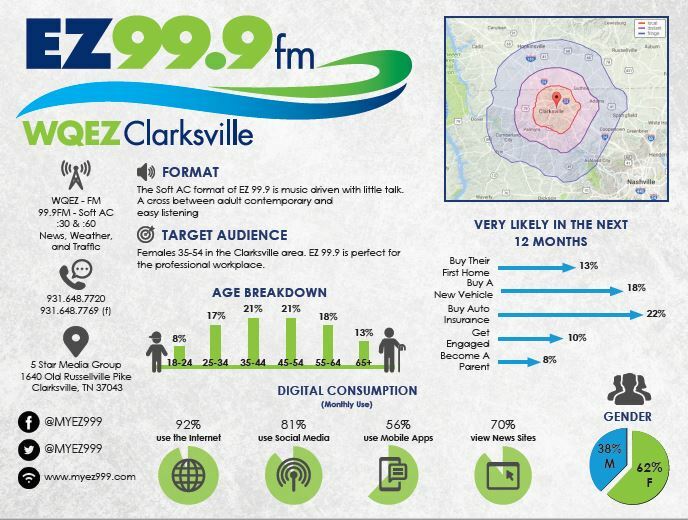 EZ99.9 targets adults, 35-60, in the Clarksville, Hopkinsville, Ft. Campbell area. At 6,000 watts, EZ 99.9 is positioned to be the perfect at-work listening station. 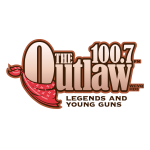 EZ99.9 is an all music format, also providing local news and information on community events. Partner with EZ99.9 to facilitate your new promotions and giveaways for your business!